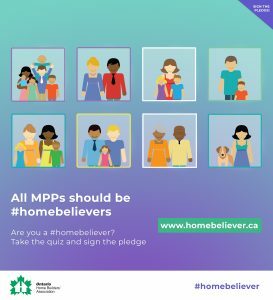 What is a #homebeliever? We’re young professionals, seniors, couples and hardworking, middle-class families who believe in the great Canadian dream of home ownership. But we believe that the dream is slipping out of reach. We aren’t giving up, and you shouldn’t either. Do you still believe in the Canadian dream? Are you a #homebeliever?